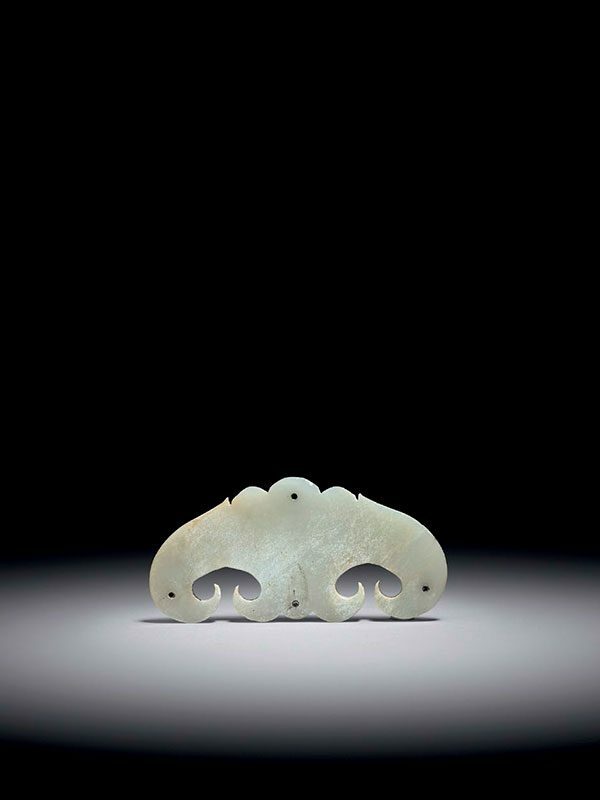 A white jade pei pendant in the form of a symmetrical ruyi. The top and bottom of the pendant are lobed and the arms that extend down to complete the ruyi shape end in scrolling forms with pointed tips. Four tiny holes are drilled into four points on the pendant: one in the centre of the top lobe, one directly underneath this in the centre of the bottom lobe, and one on each arm of the ruyi form.